The challenge of sustainable environmental quality requires innovative thinking, clear leadership and strong technical expertise. 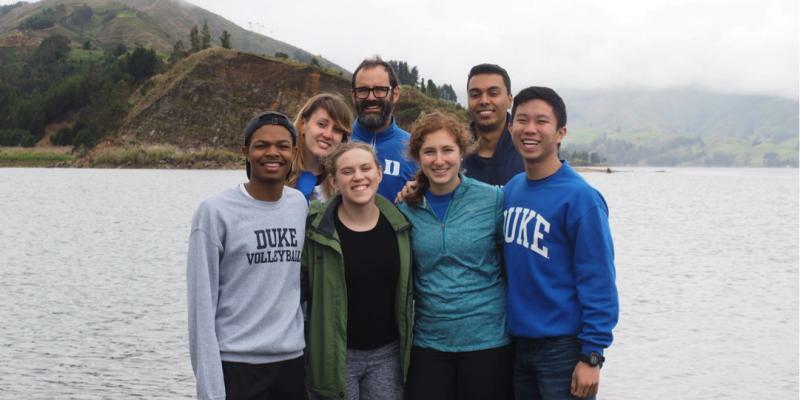 Duke’s Master of Engineering in Environmental Engineering will give you the comprehensive training an industry leader needs to have to protect our natural resources. Our program draws from Duke's Pratt School of Engineering and Nicholas School of the Environment—so you get the best of our renowned engineering and environmental research community. Coursework draws on recent research by our world-class faculty, many of whom are involved in major federally-funded research centers such as the Center for the Environmental Implications of NanoTechnology (CEINT) and the Superfund Research Center at Duke. MEng students complete the Core Industry Preparatory Courses and Internship, Departmental Requirements, and will choose specialization requirements of four courses from our areas of concentration. Students are required to attend seminar programs specific to environmental engineering or their specialization area. Students may also pursue the MEng in Environmental Engineering without a specialization in which case 3 courses from an extended list of electives as well as courses listed in each of the specializations may be substituted.